Find the Biggest Events Each Month! Exciting Paris events, festivals, and holiday celebrations take place during throughout the year. If you're visiting the City of Light or planning when to come, check our recommendations to see what's happening each month. Our month-by-month Paris events calendar shows you the big picture. For details, click through to see the monthly calendar. 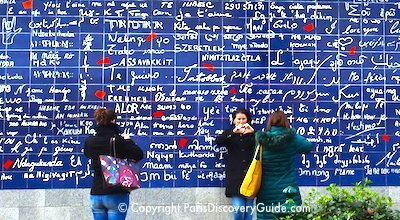 Of course you'll find famous Paris events such as the famous Winter and Summer Sales, Fashion Week, Mardi Gras, the Paris Marathon, Bastille Day, top museum exhibits, concerts, and Christmas/New Year Eve festivities - but we also tell you about lesser-known "insider" activities and free fun things to do in Paris that you won't find in most other guides. 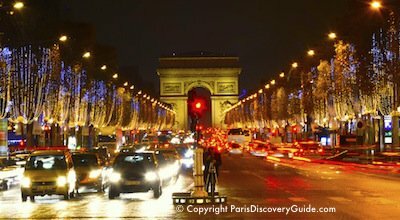 January events in Paris ring in the New Year with a Grande Parade down Champs Élysées with brass bands, colorful floats, and festivities in a day-long New Year's Day celebration. 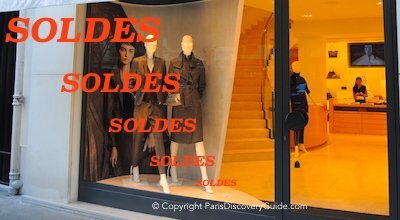 Winter sales start early in the month, offering deep discounts on everything you can imagine, and toward the end of the month, Paris Fashion Week haute couture shows for spring/summer collections give you the chance to spot famous designers, models, and celebrities near the show venues. Meanwhile, the ferris wheel at Place de la Concorde and ice rinks around the city lure you outdoors, and a huge selection of Paris concerts give you lots in entertainment indoors. February events in Paris include two festive celebrations: Mardi Gras (usually) and Chinese New Year, both featuring massive parades with music, dancing, and lots of entertainment. 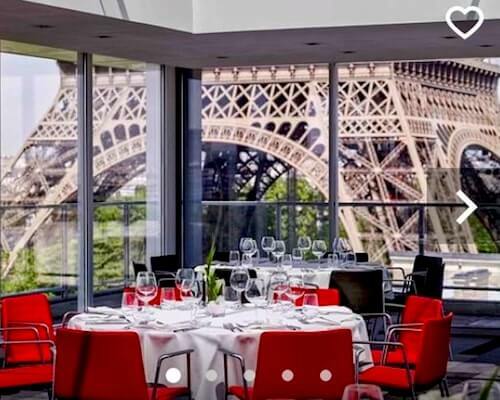 Paris goes all out for Valentine's Day, and you can enjoy special Valentine's dinners in practically every bistro and restaurant, plus romantic Seine River cruises. 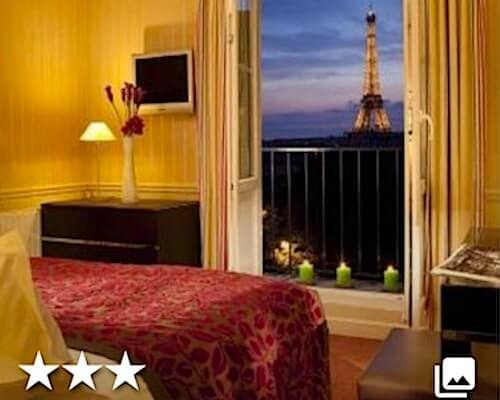 And of course the City of Love offers many romantic locations for you and your special someone to enjoy. Although the first days of the month may still be chilly or cold, plenty of museum shows and concerts give you lots of opportunities to stay warm. And by the end of the month, you may be seeing the first signs of spring! March events in Paris celebrate the coming of spring and longer days, with a popular half-marathon around the city, a fun-filled fair dating back to the year 857, and the return of the Musical Fountain Show at Versailles. Exciting new shows open at several Paris museums, and plenty of concerts give you the chance to hear your favorite type of music. 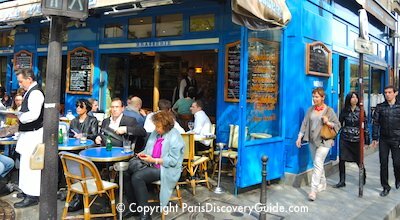 If you're visiting Paris this month, copy the Parisians - find an outdoor table at your favorite cafe and soak up some sun! Paris in April is legendary - and for good reason. The city bursts into full bloom, sidewalk cafes fill up, and everyone plans picnics in the park. The Paris Marathon attracts athletes and their supporters from all over the world, and attracts large crowds along the marathon route, which just happens to pass by many of the city's top attractions. Easter also often falls in April. 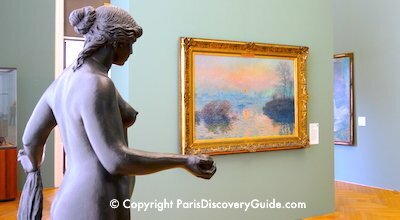 Top May events in Paris include Mother's Day, the continuation of the fun-filled Foire du Trône fair, and the huge Jazz Festival at Saint Germain des Prés, which gives you the opportunity to hear top Paris jazz musicians in unique locations. Look for lots of other wonderful concerts as well, plus exciting shows at Paris museums. Paris events in June move outdoors with free concerts, music festivals, and one of the city's biggest huge parades. Look for lots of free concerts including the Fête de la Musique and Jazz Festival in Parc Floral. The huge Paris Pride Parade culminates a week of Pride Week parties. The famous Summer Sales begin, and every other year, the renowned Paris Air Show attracts large crowds. 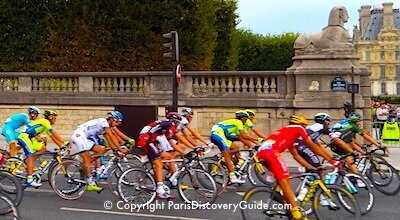 Top July events in Paris: Tour de France competitors cross the famous bicycle race's finish line in Paris and parade around the Champs Élysées, beaches (Paris Plages) featuring sand and palm trees pop up along the Seine River, and huge crowds gather for Bastille Day celebrations including a military parade and fireworks at the Eiffel Tower. More things to do in Paris during July's long days and warm nights: Firemen's Balls, Haute Couture Paris Fashion Week, the continuing summer sales, Paris Jazz Festival, free outdoor art shows, movies, and concerts. 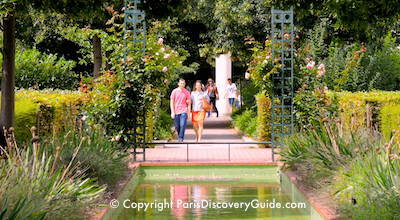 August events in Paris take on a golden haze as Parisians flee the city heat for their annual vacations. Suddenly, entrance lines grow shorter and you'll enjoy the relaxed vibe - especially because there's still plenty to do. 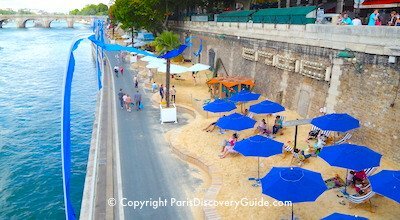 The biggest August events in Paris take place outdoors: free concerts and other events along the Paris "beaches," free outdoor events at Paris City Hall to celebrate the Liberation of Paris, free (there's a theme here!) outdoor movies at Parc de la Villette, and at the end of the month, France's famous and huge summer musical festival: Rock en Seine. 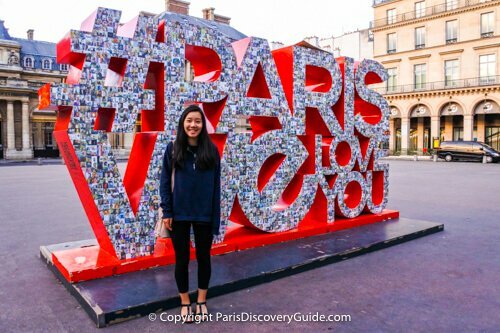 Paris sizzles with excitement during September as Parisians return from vacation, relaxed, energized, and eager to enjoy all the fall activities, new shows at museums, and festivals. 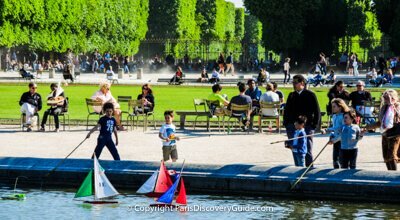 With European Heritage Days giving you access to rarely seen treasures throughout the city's cultural institutions, Paris Fashion Week bringing fashionistas from around the world, and beautiful weather luring you in the parks and long walks around the city, you'll find lots to do this month! 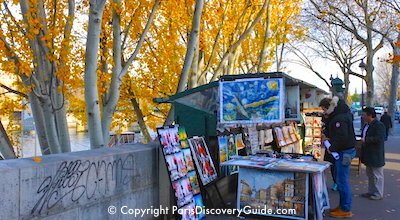 October events across Paris let you enjoy the still-balmy weather while viewing swaths of golden fall foliage. Galleries, performance spaces, museums, and studios fling open their doors and offer free admission during the all-night Nuit Blanche cultural festival and the ParisArtists shows and exhibitions. A Grape Harvest Festival in Montmartre celebrates the neighborhood's vineyard and wine-making with 5 days of fun-filled festivities, Jazz sur Seine fills the city with music, and at Disneyland Paris, Halloween is in the air. November events in Paris include lots of concerts and museum shows, as well as the moving Armistice Day Ceremony on November 11 at the Tomb of the Unknown Soldier. But by mid-month, signs of the coming holiday season begin to appear as stores put up decorations and even a few Christmas Markets begin. 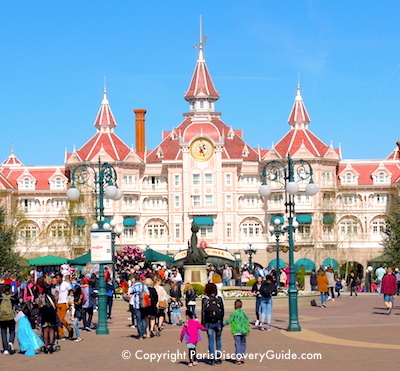 Disneyland Paris puts on a huge celebration, which continues through early January - go enjoy it while November weather remains fairly balmy! Sparkling holiday decorations transform Paris in December, turning it into a real City of Light as days grow shorter. Find out about Christmas in Paris and Hanukkah in Paris celebrations this month. Do your holiday shopping and sip hot mulled wine at the traditional Christmas Markets that pop up all over Paris, admire dazzling Christmas lights and window decorations at the grand department stores and along Champs Élysées, and enjoy a classical music concert or attend Christmas Eve Mass in a magnificent Paris church or cathedral. If you're visiting with kids, joining the Christmas celebrations at Disneyland is a must!